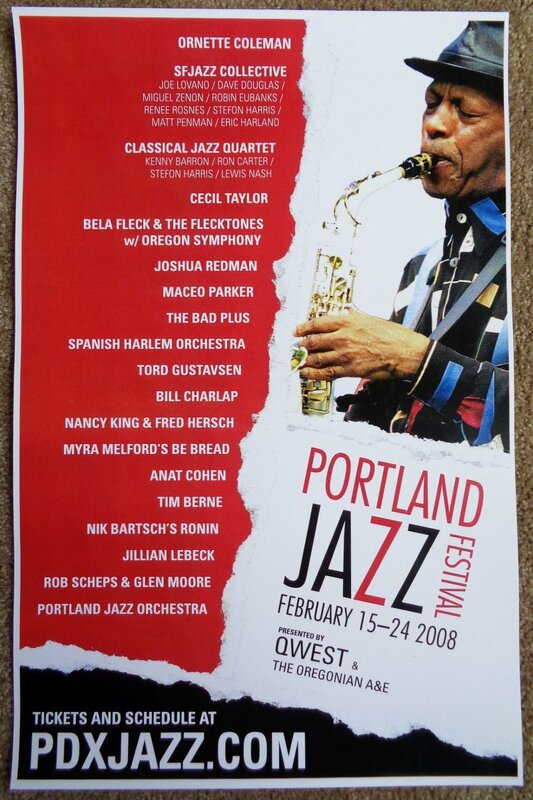 This official 2008 PORTLAND JAZZ FESTIVAL poster features ORNETTE COLEMAN on it. It is very hard-to-find since it is a promo only available at ticket outlets and music stores to promote this festival. Festival dates were February 15-24, 2008 in Portland, Oregon. As noted on the poster, stars included Ornette / Cecil Taylor / Bela Fleck / Joshua Redman / Maceo Parker / etc.